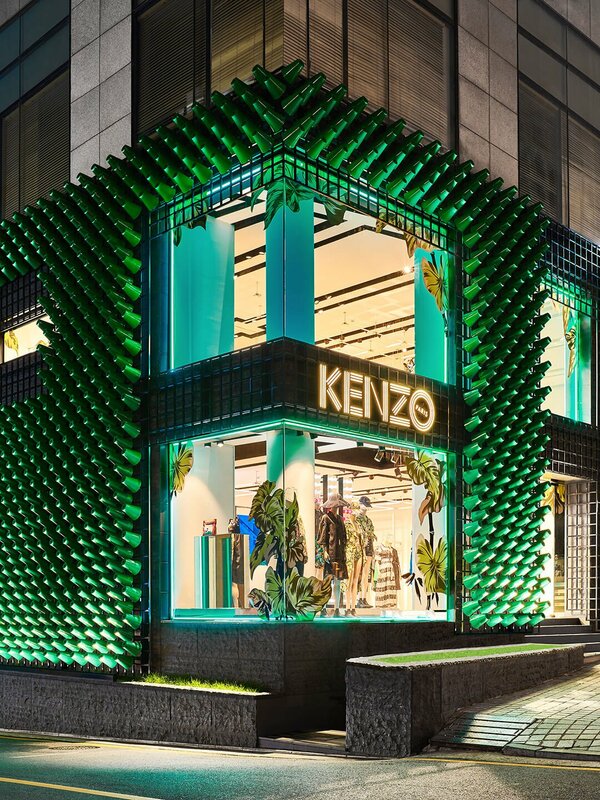 French luxury fashion house, Kenzo, has opened a new flagship store in Seoul. 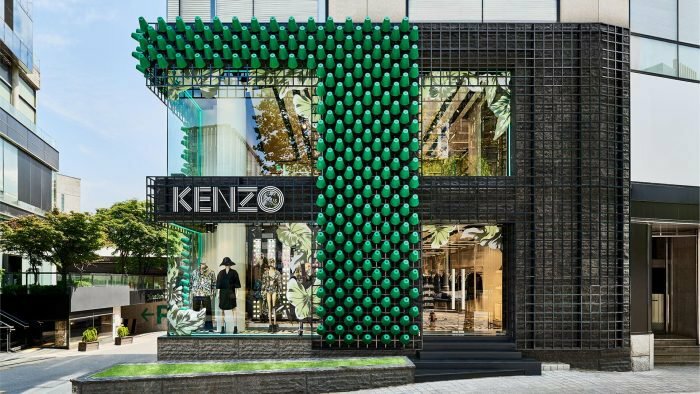 Located on Cheongdam-dong Fashion Street in Gangnam, the new store, designed by design studio Architecture at Large (founded by Rafael de Cárdenas) in collaboration with the house’s creative directors Humberto Leon and Carol Lim, reflects the brand’s playfulness and stands out among the many other high-end retailers located in the area. 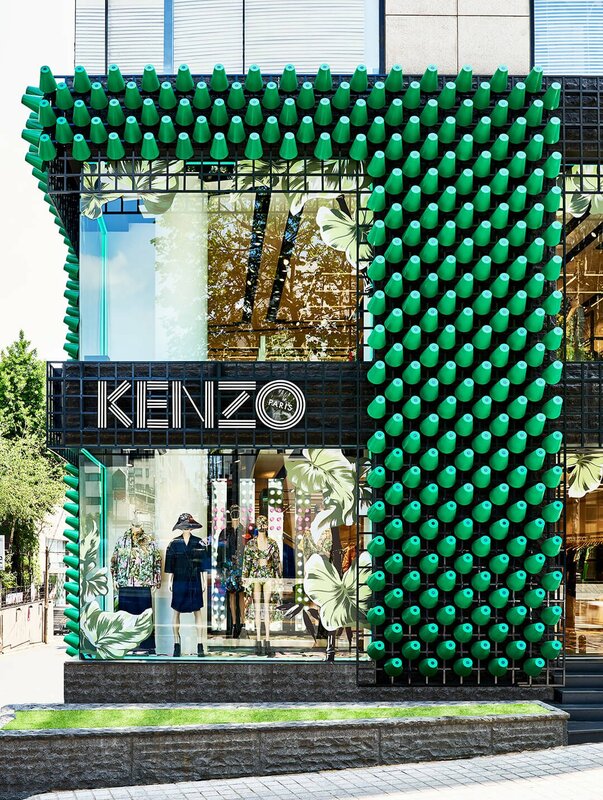 The exterior of the building is decorated with exactly 862 lime green cones that remind the house thread spools, an integral park of the fashion design process. “We kept in mind that the design had to be distinctly directional and impactful, the facade design is in essence serial and somewhat minimal.”said Cárdenas. 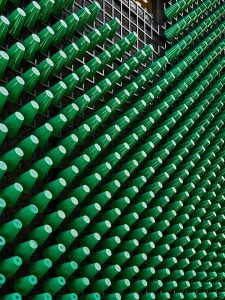 The dynamic architectural feature creates a dimensional pattern that ultimately acts as a calling card. For the South Korean consumer, retail spaces have to provide more than goods: they have to deliver experience and service. 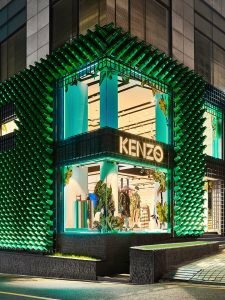 Kenzo’s directors and RDC/AAL described the role of shopping in South Korea as ‘almost a national sport.’ Cheongdam-dong Fashion Street, where the shop is located, is made up of a string of high-end retailers all vying for the attention of Seoul’s super wealthy, as well as the growing tourist economy. 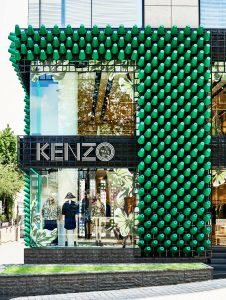 Lime green, a colour favoured by the French brand, has been used liberally in the design of their classic tiger sweatshirt, and even was the hue of choice for Michelle Obama’s Kenzo gear on her first visit to Tokyo. Naturally, Cárdenas employed the vivid shade for the 862 conical shapes that represent the thread spools of fashion construction – identifying the tools of process essential to the trade. 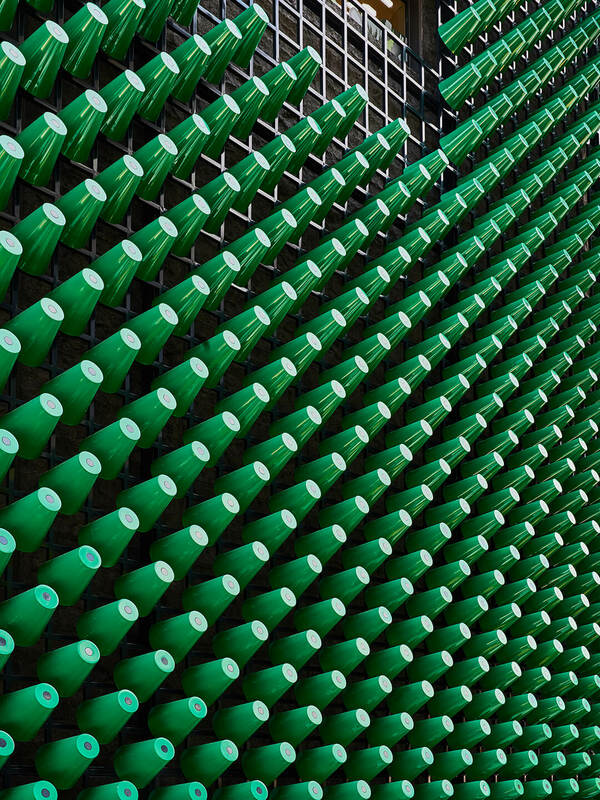 The design studio also chose to expose the powder-coated metal grid that behaves as the attachment system for the installation, as a way of interpreting the physicality of brick-and-mortar stores in a digital age.